The Bajaj Pulsar 150 Neon gets neon accents at the headlamp brow, badges, side panel mesh, grab rail and a bit on the wheels. 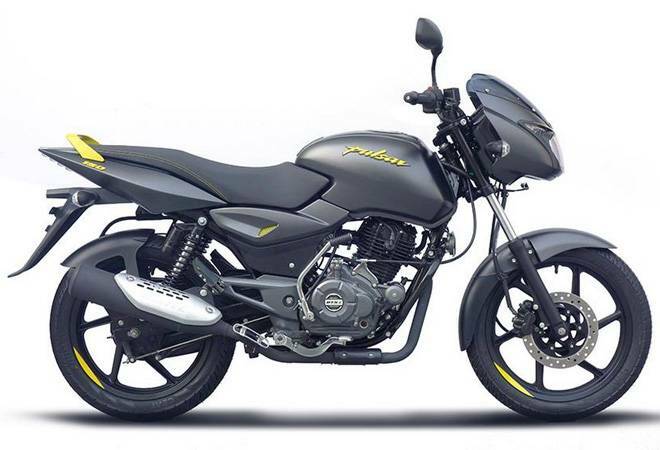 Apart from the added colour, the new Pulsar looks the same as the Pulsar 150 Classic Black. Bajaj Auto has launched the new Pulsar 150 Neon in India with prices starting from Rs 64,998 (ex-showroom price Delhi). The new motorcycle is in essence the same as Bajaj Pulsar 150 Classic with slight cosmetic updates. The Pulsar 150 Neon has been launched in three colour options - Neon Yellow, Neon Red and Neon Silver. The Neon Yellow variant is also the first Pulsar 150 to get a matte black paint job as stock. Talking about cosmetic upgrades, the Bajaj Pulsar 150 Neon gets neon accents at the headlamp brow, badges, side panel mesh, grab rail and a bit on the wheels. Apart from the added colour, the new Pulsar looks the same as the Pulsar 150 Classic Black. The mechanics of the Pulsar 150 Neon have been kept unchanged from its parent motorcycle. The motorcycle is powered by a 149.5cc DTS-i engine, with max power of 14PS at 8000rpm and max torque of 13.4Nm at 6000rpm. At the front is a telescopic suspension, whereas the rear has a 5-way adjustable, Nitrox shock absorber. The stopping power comes from a 240mm front disc brake and a 130mm rear drum brake. Because this is a variant of the Pulsar 150, Bajaj has not provided ABS with the Neon variants. The Bajaj Pulsar 150 is targeted at the entry-level 150cc segment, and will compete against the Honda CB Unicorn 150, Hero Achiever 150, and similar offerings. "The Pulsar 150 Neon, with its fresh new looks, outstanding road presence and proven performance is set to be the first choice for any customer willing to move beyond a 100/110 cc bike," Bajaj Auto President (Motorcycles) Eric Vas said at the launch of the motorcycle.